I also asked Trump about the "nationalist" label he has given himself. He brushed off the notion that this means he is a "white nationalist." Video to come. I asked Trump what does that mean when he says he is a "nationalist." His response: "I love our country." I followed up about the concern that he is sending coded language that he is a white nationalist. Trump: "I've never heard that theory about being a nationalist." “Mr. 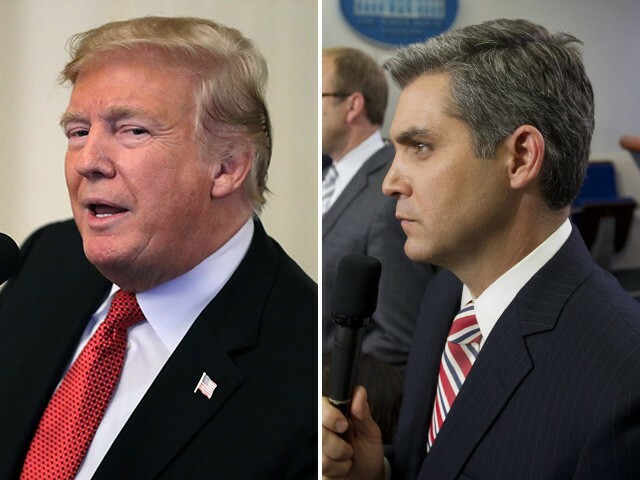 President, just to follow up on your comments about being a nationalist–there is a concern that you are sending coded language or a dog whistle to some Americans out there that what you really mean is that you’re a white nationalist?” Jim Acosta asked in the Oval Office. Add Your Name to the Official Petition to Force Congress to Stop the Caravan!